There's no easy way to put this, so please accept our apologies for the seemingly abrupt nature of this post. We are saddened to announce that after sixteen years as The Lucksmiths, the band has decided to break up. The last few years have been an uphill battle in many ways, so this isn't a hasty decision based on any falling-out between band members, but rather, an acceptance of the inevitable. This decision was finally reached a few months back, so we've had plenty of time to let it sink in. We had tried to operate the band in a way that would suit all of us, but at the same time we've been very conscious that too much compromise would in the end affect our creative output. We're very proud of the music we make, and we certainly didn't want it to start stinking. So, in taking our cues from Devo, we've decided to whip the proverbial cream before it sits out too long. We're really excited about our upcoming European tour, and have booked some Australian dates for our "farewell tour" in August. The details for these shows are in our gig guide. We really hope to see as many people at these shows as possible, as we will be playing super long sets, cramming in as many old favourites as possible. We must apologise for not making it back to the USA, Canada, Japan, New Zealand or Singapore, or to the other amazing European countries we've previously visited – and for never having made it to the other fifty or so countries we'd hoped to tour one day. We really want to thank you all, especially the wonderful people who've helped us out in any way, and anyone who's listened to our music or come to a show. We've loved having you in our world and we will miss you dearly. And on that sad note the Happy Medium Song of the Day begins a week-long celebration of one of my all-time favorite bands. 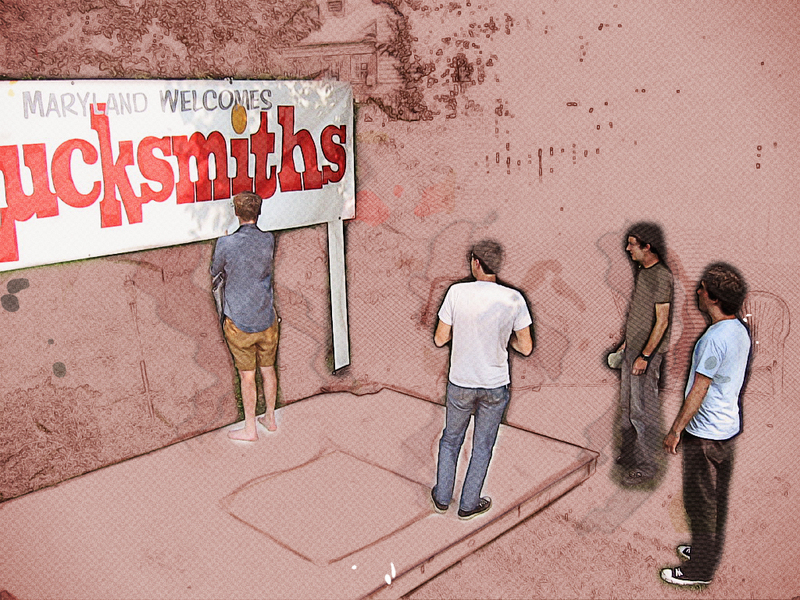 The tribute begins with a song from The Lucksmiths first album entitled First Tape. It’s the one song Lori asked them to perform the first time they appeared in the backyard on Druid Drive… and they refused; claiming they were sick of it because they had played it so much when they first recorded it, and consequently hadn’t rehearsed it in years. Too bad. “Adolescent Song of Mindless Devotion” is a brilliant track that includes the band’s signature word play, and pure pop craftsmanship — all in less than two and a half minutes.